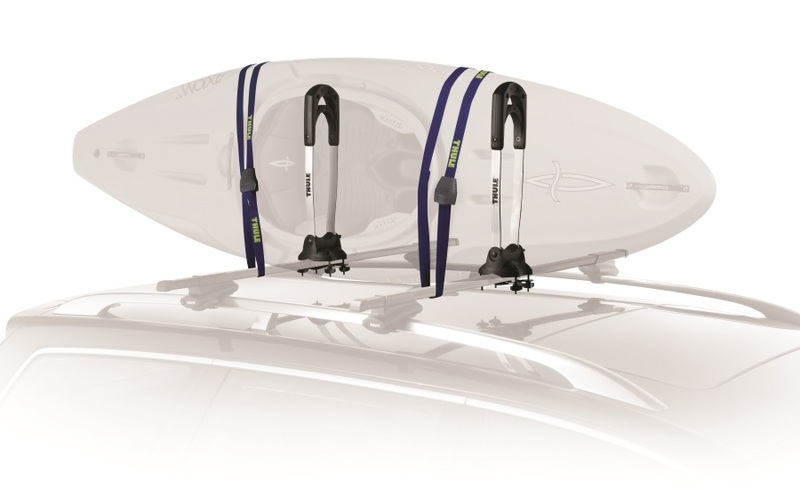 Maximize your kayak carrying ability with The Stacker. It can hold up to 4 kayaks stacked on their side taking up the least amount of roof space. With a limited lifetime warranty Thule is dedicated to providing exceptional products that are quality tested and guaranteed against defects in materials and workmanship. Fold-down steel design with non-scratch outer coating. 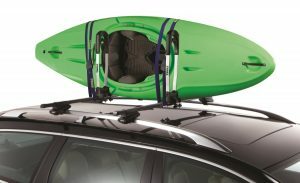 Optimally sized carrier leaves roof space for other Thule accessories. Carries up to 4 kayaks and requires 1 to 2 people to load and unload them. Includes straps to transport 2 kayaks.